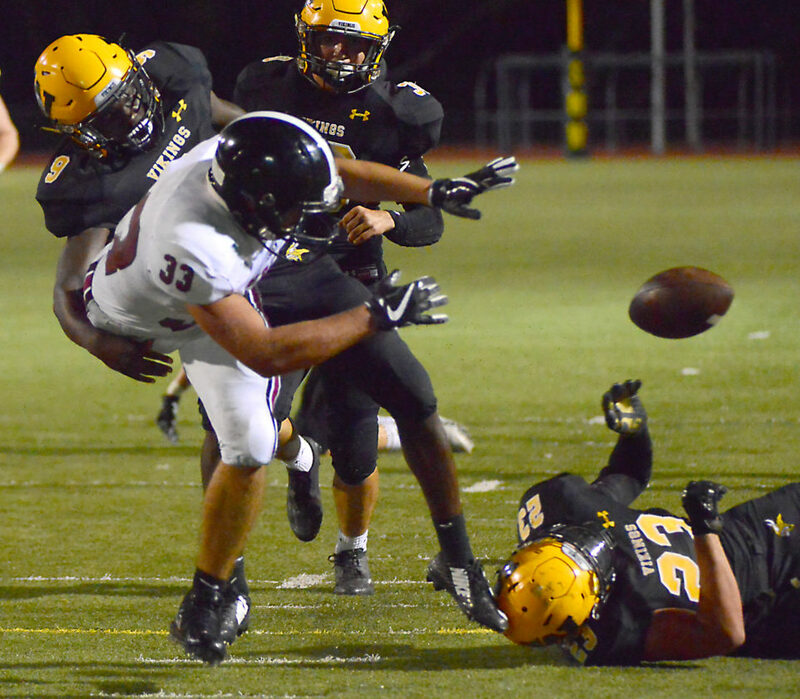 Lawrence High linebacker Cole Mondi shoves running back Kirby Grigsby out of bounds in the second quarter of Friday's game against Shawnee Mission West on Sept. 22, 2017 at Shawnee Mission South District Stadium. 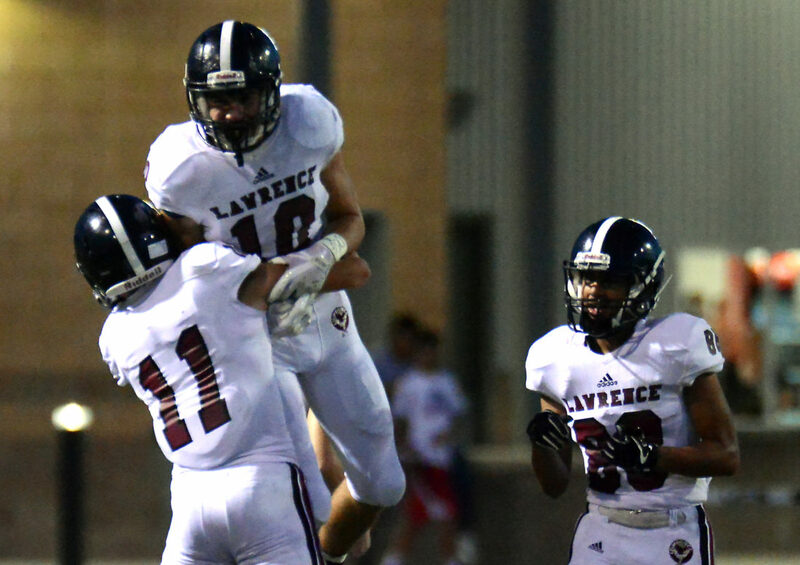 Lawrence High defensive lineman EJ Jewsome grabs the jersey of running back Kirby Grigsby in the second quarter of Friday's game against Shawnee Mission West on Sept. 22, 2017 at Shawnee Mission South District Stadium. 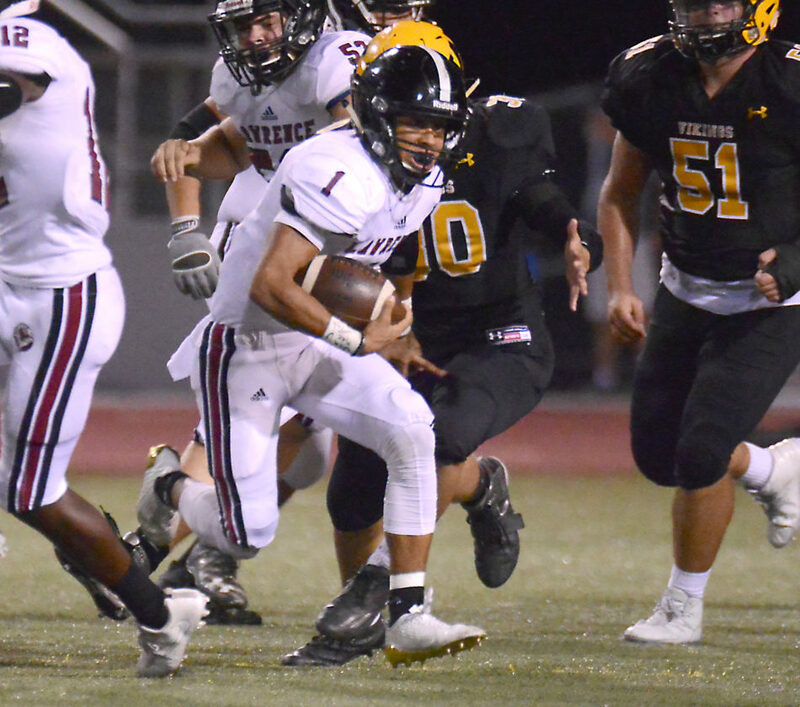 Lawrence High senior quarterback Dante Jackson finds an open lane for yards in the second quarter of Friday's game against Shawnee Mission West on Sept. 22, 2017 at Shawnee Mission South District Stadium. 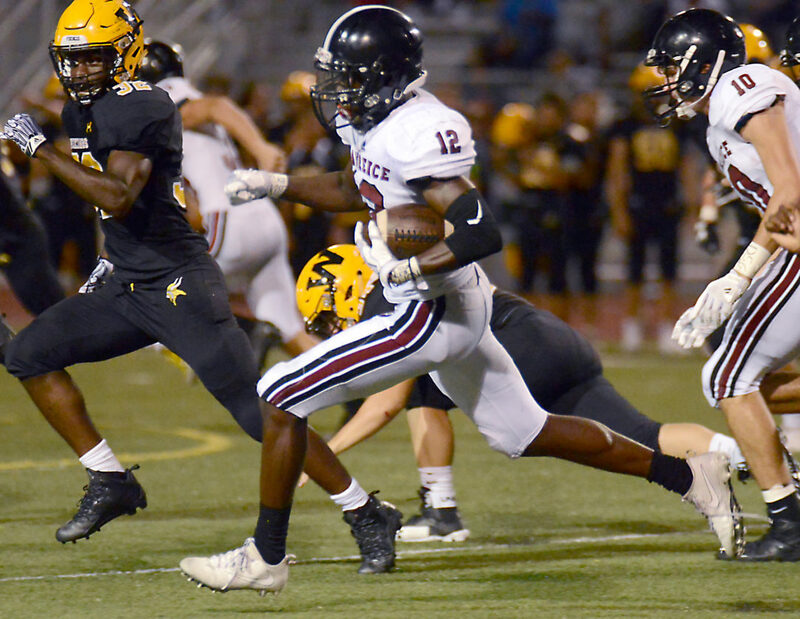 Lawrence High senior receiver Ekow Boye-Doe takes off for a big gain in the second quarter of Friday's game against Shawnee Mission West on Sept. 22, 2017 at Shawnee Mission South District Stadium. 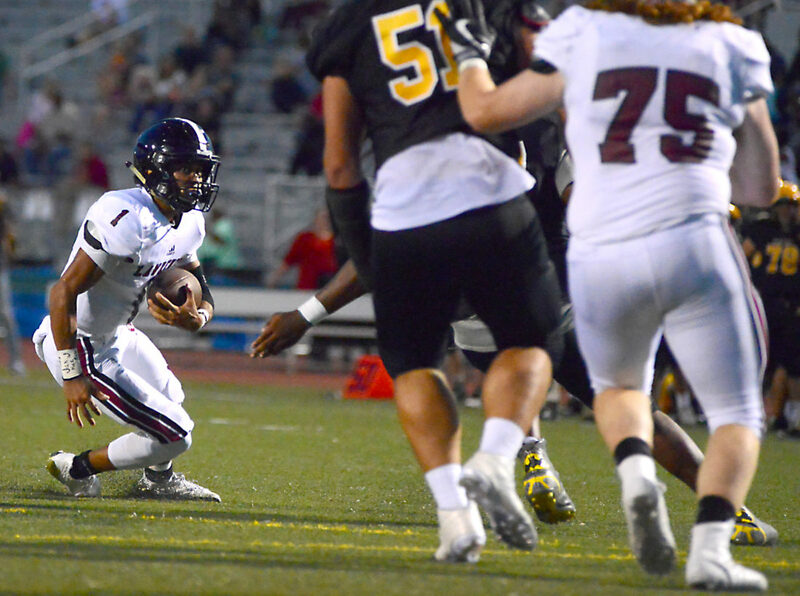 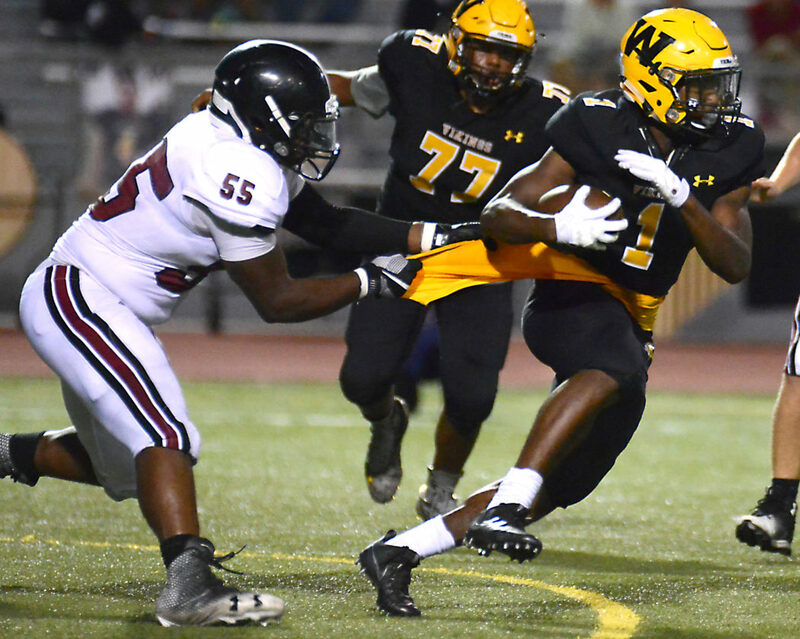 Lawrence High senior quarterback Dante Jackson changes his direction as he looks toward the end zone in the second quarter of Friday's game against Shawnee Mission West on Sept. 22, 2017 at Shawnee Mission South District Stadium. 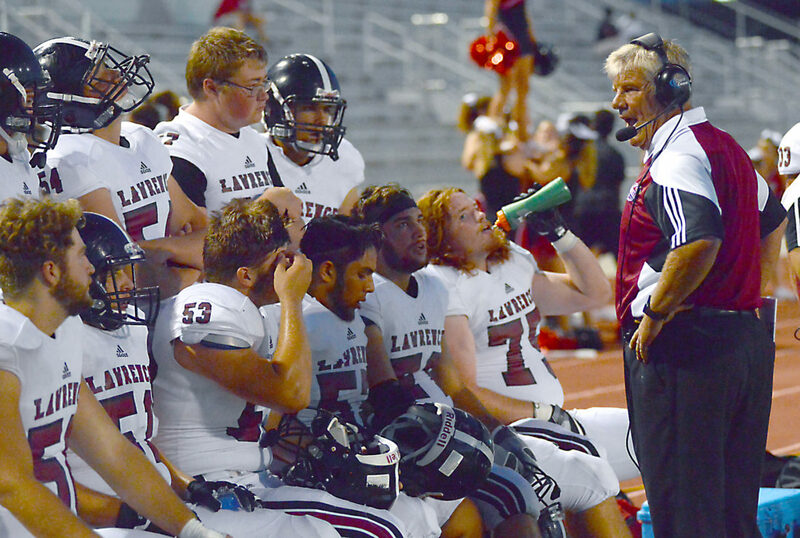 Lawrence High football coach Dirk Wedd talks with his offensive line during Friday's game against Shawnee Mission West on Sept. 22, 2017 at Shawnee Mission South District Stadium. 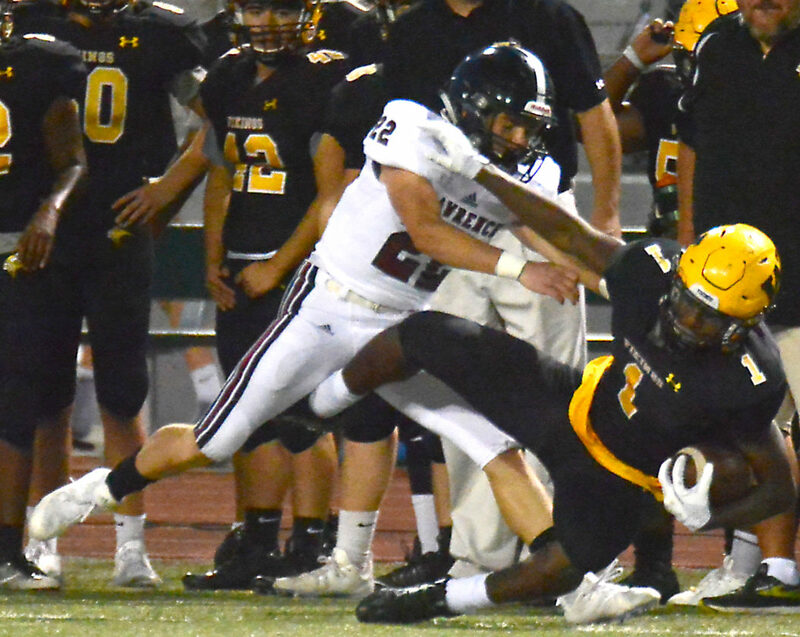 Lawrence High senior running back Hunter Krom was stripped of the ball but it was recovered just short of the goal line in the second quarter of Friday's game against Shawnee Mission West on Sept. 22, 2017 at Shawnee Mission South District Stadium.